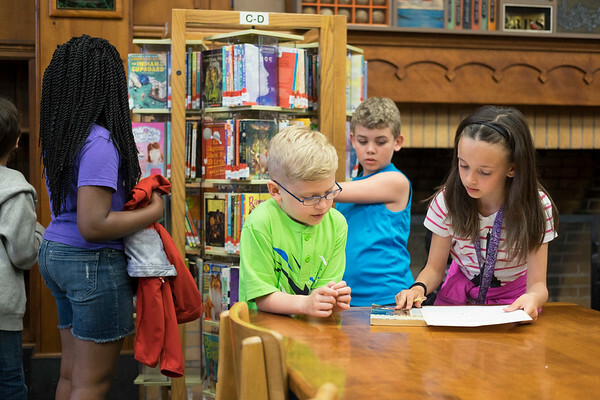 JOED VIERA/STAFF PHOTOGRAPHER-Lockport, NY-Anna Merritt 3rd and 4th graders compete in a scavenger hunt searching for books, audio books and graphic novels at the Lockport Public Library. The students were at the Library for a walking field trip. Some students applied for library cards while those who had them checked out books.